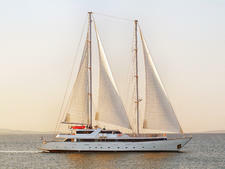 If your dream vacation includes quiet coves instead of crowded ports and up-close animal encounters instead of onboard bells and whistles, you might be a good candidate for an expedition cruise aboard National Geographic Sea Lion. 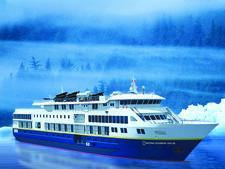 The 62-passenger ship, one of six vessels in the Lindblad Expeditions-National Geographic fleet, spends its summers in Alaska and its winters in Costa Rica and Panama, with a few fall sailings on the Columbia and Snake rivers in the Pacific Northwest. As a bonus, Sea Lion, already good at its job as an expedition ship, got even better in 2015 after a two-month refurbishment that included major enhancements to the cabins and public spaces. Lindblad sailings cost significantly more than most big-ship cruises, but you're not paying for traditional luxury -- at least not in the form of butler service or haute cuisine. 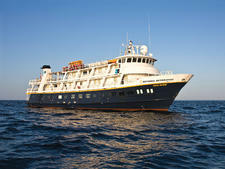 What sets a Lindblad expedition apart is the intimate experience of each destination. The small size of National Geographic Sea Lion allows for visits to spots like Petersburg, Alaska, a tiny fishing village that's inaccessible to larger vessels. And on most days of our Southeast Alaska sailing, the ship didn't visit any ports at all. Instead, it anchored in remote coves where passengers could kayak in calm waters, view otters and sea lions from a Zodiac landing craft or go hunting for bear tracks on the forest floor. Leading both the excursions and the onboard enrichment program aboard Sea Lion is a team of friendly and knowledgeable naturalists. In addition to running Zodiacs and guiding passengers through the woods, they can often be found on deck answering questions about whales or helping passengers use the ship's viewing telescope to get better views of a far-off bald eagle. In the evenings, they mingle with passengers over dinner and give short talks in the lounge on everything from local geology to the migratory patterns of humpback whales. 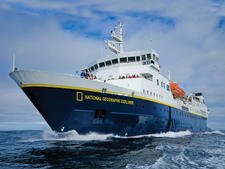 They're joined by a complement of other staff, many unique to Lindblad, including a photography instructor and an undersea specialist who makes regular dives with a camera to bring back footage of the colorful creatures living in the waters below. The ship's route is flexible, subject to the whims of the weather, the tides and even the wildlife. The ship will veer off at a moment's notice to check out a mother bear and her cubs on shore or to follow a pod of orca whales. When one potential anchorage was made inaccessible by weather, we spent the morning looking for humpbacks instead. 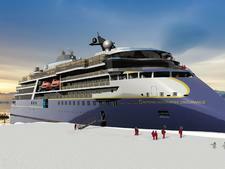 Such last-minute changes are accommodated smoothly and efficiently by the expedition staff. The ship is small enough that everyone soon learns each other's names (helped by the Lindblad-supplied name tags) and keeps to more or less the same schedule. There's a single dining room with a single seating for each meal, and the naturalist lectures are the only show in town when it comes to evening entertainment. The relatively limited options don't bother this easygoing crowd. Of the morning wake-up call, which comes promptly at 7 a.m. over the shipwide PA system, one passenger said with a smile, "It reminds me of summer camp!" Of course, Sea Lion won't be right for everyone. There's no elevator, so this isn't an appropriate choice for passengers in wheelchairs (although one fellow cruiser gamely clomped up and down the stairs on crutches). 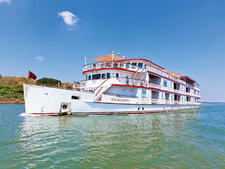 It may not be ideal for a honeymoon or romantic anniversary trip either, unless you snag one of just four cabins on the ship with beds that can be converted to doubles; most cabins only have twins. That said, it's hard to care much where you're sleeping at night when you spend your days hiking, kayaking and exploring by Zodiac. 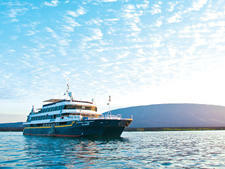 Travelers cruise Lindblad for the in-depth destination experience, and Sea Lion is set up to deliver every time. 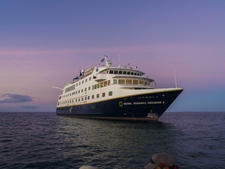 Sea Lion passengers tend to be retired, well educated, committed to the environment and loyal to Lindblad. 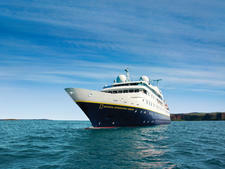 On average, 40 percent of the cruisers on each expedition are repeat Lindblad travelers. The youngest passenger on our expedition was a 7-year-old who enjoyed splashing through the mud on our hikes; the eldest was coming up on his 90th birthday. Summer expeditions in Alaska tend to attract more families with children. There are no formal nights onboard, although some passengers upgraded their wardrobe to smart casual for the captain's dinner on the final night of our sailing. Jeans, khakis and other casual clothing were common at meals throughout the week. 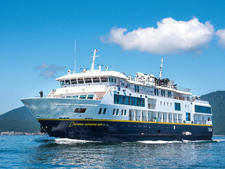 Lindblad recommends a $12 to $14 per-person, per-day gratuity, which can be paid in cash, personal check or traveler's check, or charged to a credit card. Tips are divided equally among the crew, except for the massage therapist, who is tipped individually. The onboard currency is the U.S. dollar.